When you’re a special needs mom, friendships take on a whole new meaning. They can be the lifeline that gets you through the day. They can be the voice of hope when your own family doesn’t support you. But being a special needs mom can really test friendships, too. Especially when you feel consumed on a day to day basis. It’s the tapestry of your conversations. It has to be because you breath it every single day. You can’t sit around and talk about the weather because you have REAL things going on in your life. Real big things. Things that keep you up at night because you worry about how your child is going to function as an adult. Things that can make you feel nauseous during the day because you’re wondering what will bring on your child’s next meltdown. That’s why, when you find smart, funny, engaging women, you want to hold on to them as friends. Despite the fact that you don’t pick up the phone for just a chat. Despite the fact that you can’t always be breezy (even though you wish you could). Despite the fact you want to make weekend plans as families but the unpredictability of how your kiddo will be stops you. I have been fortunate to find some of those amazing women. And I also have picked up a frenemy along the way, too. 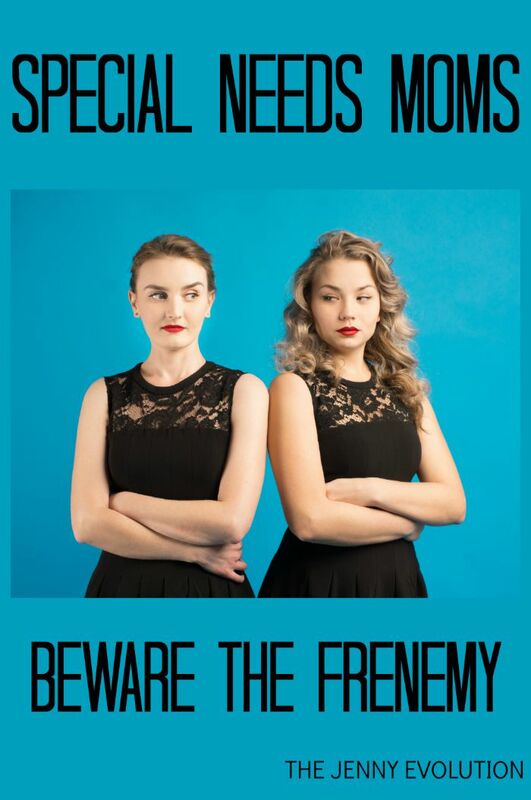 Frenemy, you say? Oh yes. a woman who seems supportive and smiles at you while silently sighs the moment you bring up anything connected to what’s going on with your child. A woman who always have an excuse why your sons can’t get together to have a play date. A woman who just eventually leaves you out of group gatherings. A woman who is so subtle about it, she makes you feel like you’re overreacting or being too sensitive. But eventually you realize it’s not all in your head. You know what else you eventually realize? That this woman is a frenemy. A person who is cordial or friendly, but she’s not really your friend. When you’re in the presence of a friend, you feel empowered. When you’re in the presence of a friend, you are allowed to show your vulnerabilities without being judged. When you’re in the presence of a friend, you feel like you can just be yourself — your freaked out, introverted, sarcastic and goofy self. I have a frenemy. One who I’ve known is a frenemy for quite some time, but I didn’t finally give her the official label until recently. Why the change in status? As I travel down this road as a special needs mom, I get more and more selfish. Selfish with my time, selfish with my energy and selfish with who I choose to invest in. I want to invest in friendships with women who value me as much as I do them. Do I think my frenemy is a bad person? No. Not in the least. But it doesn’t change how our relationship has evolved. And it doesn’t change the fact that I’m done. Period. 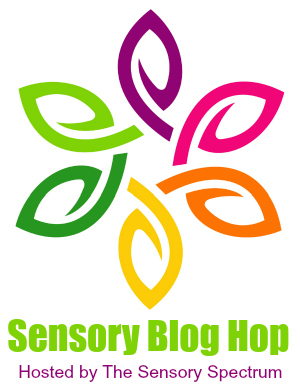 You can read more of my posts touching on Sensory Processing Disorder or learn more about sensory challenges and join our inclusive community at The Sensory Spectrum. Girl, you just totally made me cry. AND you made me finally breathe the word that’s been in the back of my mind for a certain person. And you’ve given me the courage to step back. YOU make me feel like I can be my empowered yet vulnerable self…even breezy, a little, because I know that whether or not we have the same challenges (oh dear, the adulthood terrors…), you respect that I am doing my best and you include my family – with ALL that represents – in you accepting nature.THanks, Jenny! Isn’t it funny how having a child with special needs really shows us who our true friends are? My son’s disability has clarified so many things for me and, like you, has made me selfish about how I spend my time. I don’t have time for those who are anything less than genuine towards me, my son, and my family. Glad to hear I am not the only one! You are absolutely NOT the only one! I think it is interesting in how we are so selfless with our families, but selfish when it comes to how we spend our time outside of our kids. This is soooo true. Thanks for your understanding. How do u find these true authentic people? I have not found many. Sounds like we are living life the same…with many joys and struggles. Honestly, I don’t talk about my son much unless people ask. Most of my friends are longtime friends and they care very deeply, but new friends don’t know much about him or understand the severity of his disabilities. I understand that they can’t possibly know how challenging our lives are. I feel it is rather a hidden life of struggles. I often say if I had cameras in my house no one would believe what goes on behind our doors! Here is a little more about my son and our lives. We have had the most difficult year with him and behavior. Looking forward to better days ahead! I have been dealing with frenemies for many, many years, and I too have a special needs child. I hear you when you say you have become selfish, so have I. I just don’t have the time for fake friends, and neither does my heart. I have lost friends, or I thought they were my friends, and I am NOT going back for more. The thing is lots are family. thank you for this post, it made me feel that I made okay choices by unfriending fake friends. My son is an adult now. I should clarify that. One more thing to add. Sometimes it can feel lonely, but it is better than being around people that really don’t add any happiness to you or your families lives. I do have a couple good, caring friends and treasure them dearly. It definitely makes it tougher when it’s family… because family is already complicated enough, right?